An hour before sunrise, Todd Gregory (GFOE) gives Yogi a checkout in the marina. Work was completed under an authorized Yellowstone Research Permit. 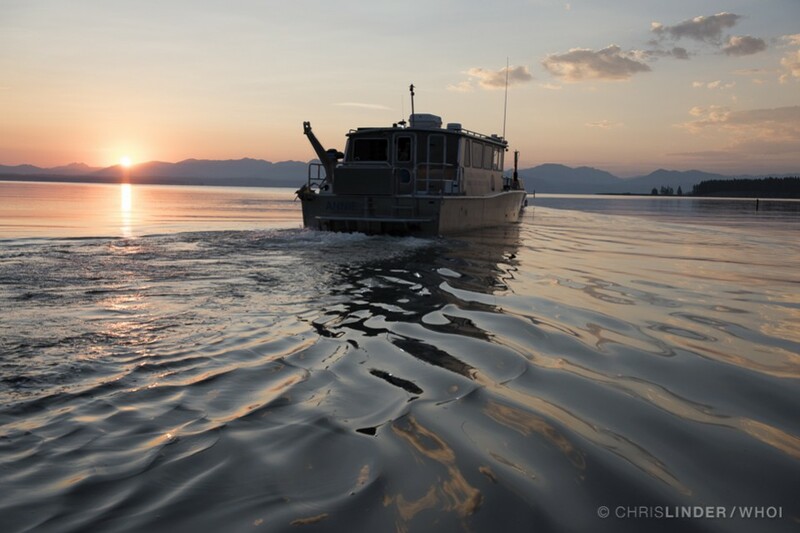 Dave Lovalvo (Founder/President/CEO of GFOE) pilots the research vessel Annie out into Yellowstone Lake. 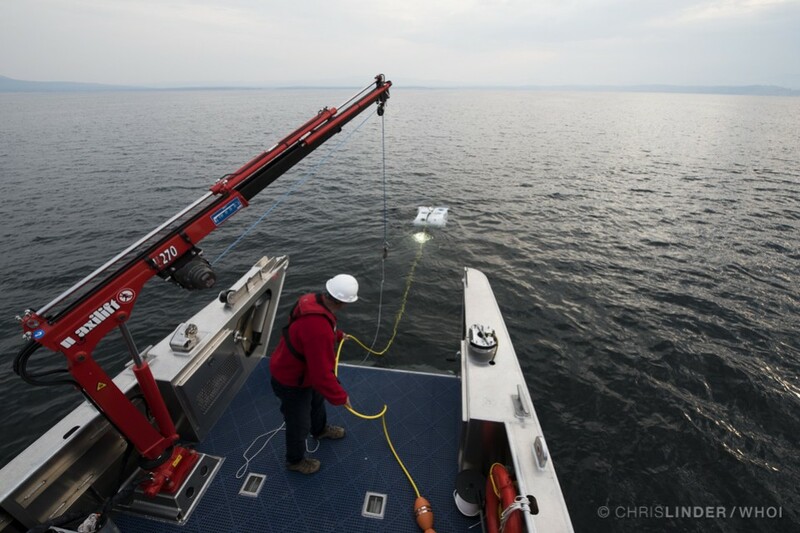 The primary study site is the deepest part of the lake, east of Stevenson Island. Work was completed under an authorized Yellowstone Research Permit. Before lowering Yogi into the water, engineers Andy O'Brien (left) and Todd Gregory (right) perform a thorough checkout, just like a pilot flying an airplane. Work was completed under an authorized Yellowstone Research Permit. Dave Lovalvo lets out Yogi on its 'leash' or tehter. 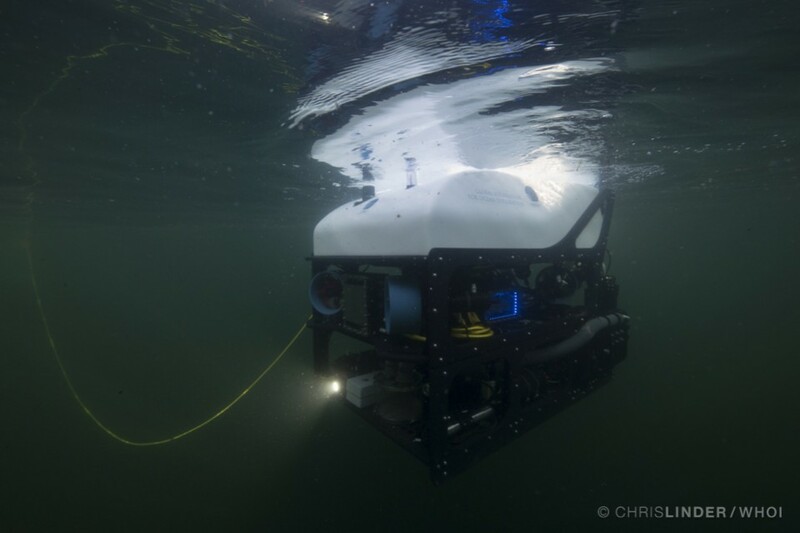 Yogi is a Remotely Operated Vehicle (ROV), meaning that it is connected to the ship via cable. 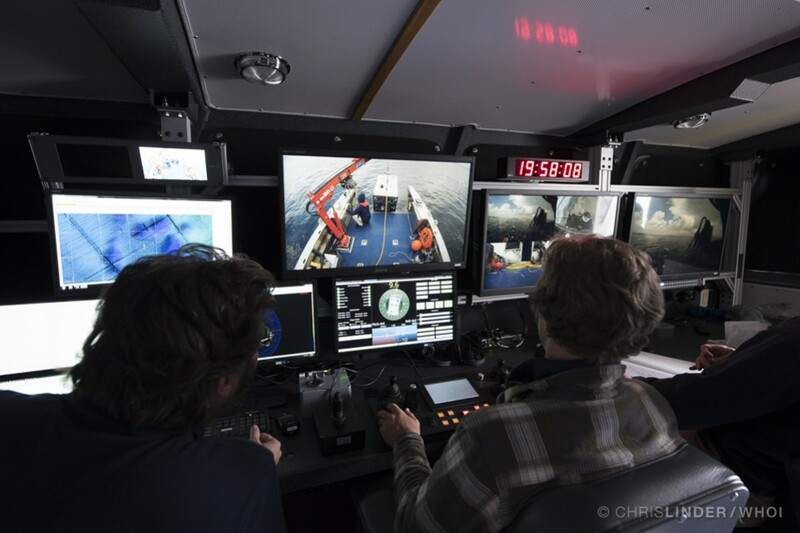 The pilots can drive the ROV and watch Yogi's video feeds in real time. Work was completed under an authorized Yellowstone Research Permit. Dave Lovalvo watches as Yogi is gently lowered into the lake using a crane on the bow of the Annie. Work was completed under an authorized Yellowstone Research Permit. Yogi dips into the lake, lights on and ready for action. Work was completed under an authorized Yellowstone Research Permit. 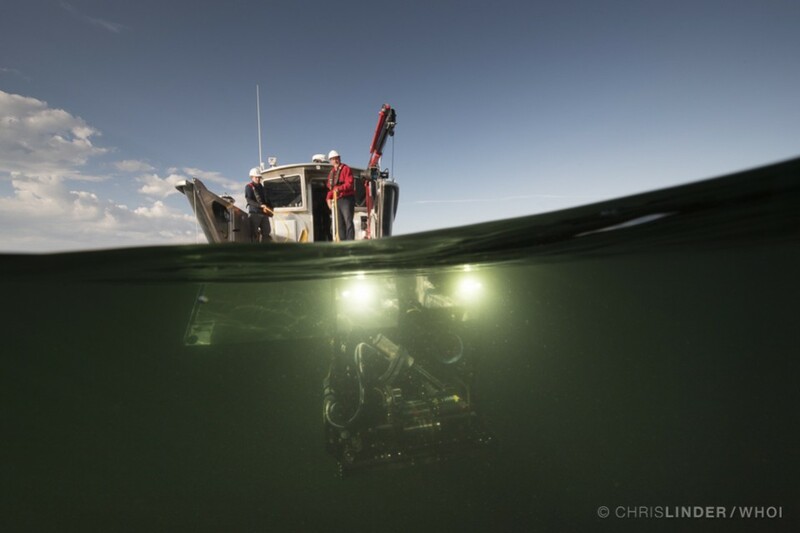 Using Yogi's thrusters, the pilots drive Yogi away from the ship and then submerge 400 feet to the deepest part of the lake. Work was completed under an authorized Yellowstone Research Permit. 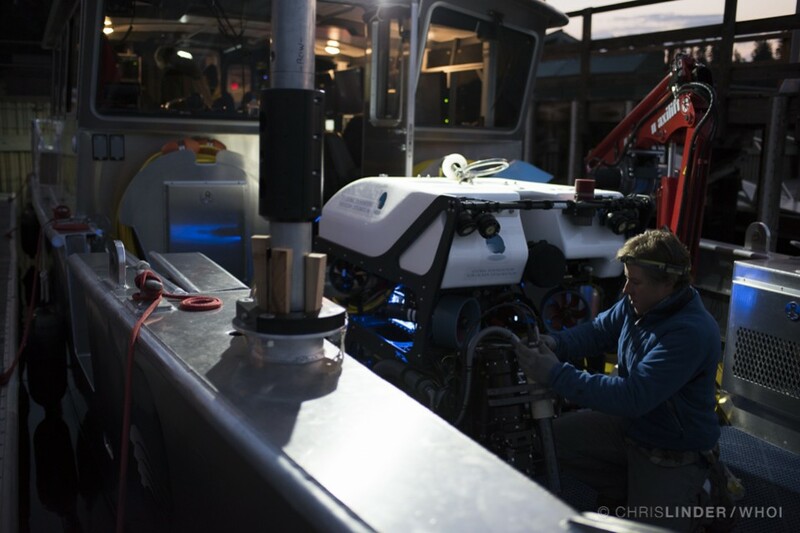 While Yogi is exploring the depths of the lake, the team drives the vehicle in Annie's blacked-out control room. 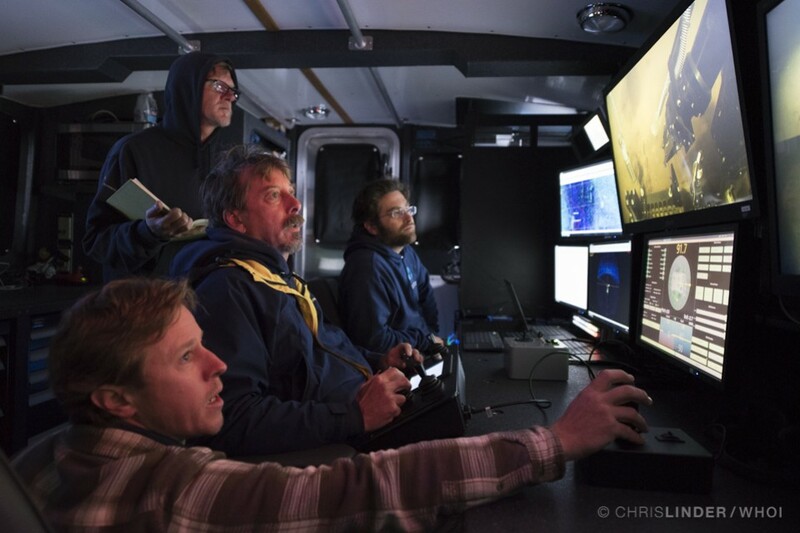 At the controls are Todd Gregory (left, operating the vehicle's manipulator arm), Dave Wright (middle, driving the vehicle), and Andy O'Brien (right). Chief Scientist Rob Sohn (standing) takes notes. 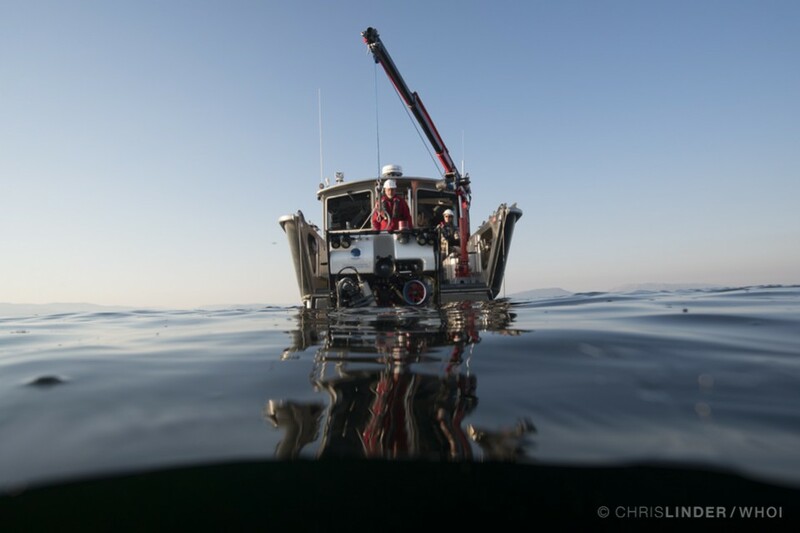 If you look carefully at video monitor, we have just deployed one of Rob Harris's thermal gradient probes, which will collect data for a year. Work was completed under an authorized Yellowstone Research Permit.